From a physiological perspective, the average woman stores more body fat than the average man. This fat tends to accumulate in the pelvic area, buttocks and thighs, followed by the abdominal region and other places. 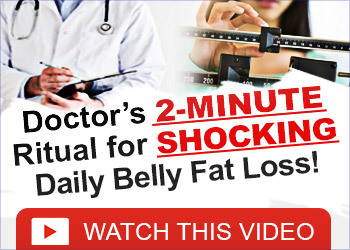 Women have been trying all kinds of approaches to burn off this excess fat. Healthcare specialists agree that any fat-burning regimen must include regular exercise and a healthy diet. However, to give the diet an extra punch, there are fat burning foods for women that can speed up the fat loss. These foods can increase your metabolism and continue your body’s thermogenic effect during digestion even when you are resting. Thermogenesis is the body’s process of burning fat in order to maintain your body’s temperature. Protein keeps you feeling full longer so you would not be tempted to snack as often. Protein is also essential to building muscle and healthy muscle burns more calories efficiently. This helps in slimming down your body quicker. Fish is one of the best sources of lean protein. Skinless white meat from poultry is also high in protein and low in fat. Lean red meat is also good if you only stick with very lean cuts. According to researchers, the lycopene and beta-carotene in tomatoes have fat-fighting benefits. They found that people whose diets are filled with foods rich in lycopene tend to have a smaller waistline. Tomatoes are also rich in fiber, low in fat, and rich in vitamins and antioxidants. They can create bulk in a meal and keep you satisfied. Green tea contains an antioxidant that can trigger body cells to release fat. It boosts your metabolism, and it can help your liver convert fat to energy faster. Research in Penn State showed that the polyphenols in green tea have properties that fight against obesity. In a controlled test, people who drank green tea reported a higher loss in weight than people in the control group. Certain spices contain powerful antioxidant and fat-burning properties. Turmeric is one of them. The curcumin in turmeric speeds up the rate of thermogenesis. This means the body burns fat faster in keeping your body warm. It also slows down the growth of fat tissues. In addition, turmeric detoxifies the liver. A weak liver is not able to convert fat to energy efficiently. However, when it is healthy, fat can be burned at an optimal rate. Turmeric can also aid in digestion. Many East Indian dishes use turmeric in their recipes. You can easily add turmeric to your meals. Chili peppers contain capsaicin that can boost metabolism. Add some peppers to spice up your dishes and for an extra kick in burning fat. These are just a few examples of fat burning foods for women that can easily be incorporated into a healthy and balanced weight loss diet. As a rule of thumb, eat only whole foods because they require more calories to digest than processed foods. When your treat your body to the right foods, you will start to see the excess fat melt away.